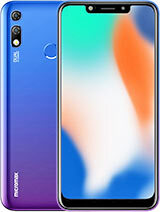 Does this phone really support dual calls. I mean when one call is active on any SIM, can the other SIM receive calls? In SPICE QT-66, the other SIM shows as not reachable when one call is active. 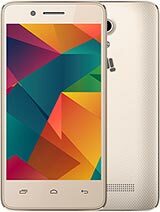 dear friends, Q7 mobile of mircomax is having accessories in box missing accessories like leather pouch and drivers cd, and the drivers are not their in the website of micromax, what is the fun buying this phone with out drivers, it will not sync. we should file a case against the company. Raj, 31 May 2010I bought Q5 15days ago but i want use with laptop.but driver cs was not there. So what can i ... morehey guys..i bought Q7 yesterday.the panel seems 2 b loose on one side..and people in wavetel,chromepet say dat all q7 mobiles hv the problem.is it so? apart from that,i feel that the wifi card is weak. music quality is good and in-ear phones are good. give it a thought before buying..wats d use when wifi is not good and wen it comes wid poor build quality..u can go for a cheaper phone without all these features.atleast u wont be deluded. I bought Q5 15days ago but i want use with laptop.but driver cs was not there. So what can i do now. please give me a feedback anybody? I am very disappointed however the build quality of the phone. When i first took it in hand the quality made me doubt if the piece in my hand was an original one or not. 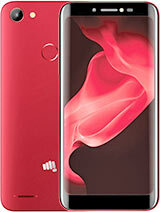 If micromax wanted to make the phone lighter, sure there were better ways to do it than this. 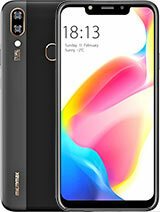 dear friends, micro max q7 mobile, it is good but, there are missing accessories like leather pouch and drivers cd, and the drivers are not available in the website of micromax, what is the fun buying this phone with out drivers, it will not sync. Hey guyz I'm going to buy this mobile. once you have seen one chinese made java os mobile, you have seen them all. For example is it possible to make play list in this mobile for music. I dont think so. Better wait for Nokia C3, I am. 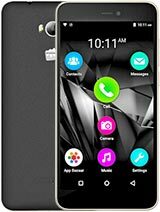 you get:Micromax Q7+2GB Kingston Micro SD+a free gift to choose on ebay,out of 3 options.Great deal! I must say. Has anyone purchased silver color q7 in india? Anonymous, 26 May 2010hey can any one tell me can we connet it to pc? n also plz tel me which operatin gsystem is us... moreit doesn't run on symbian os. it runs on its own os which cannot be compared either with symbian or wm. symbian and wm are way too powerful and offer far more features/applications. Vishal Mhatre, 16 May 2010Hi guys i jst bought my q7 today device is awesome but only problem with it is it doesn't co... morecan i knw hw is da wi-fi speed and connectivity in dis phone ??? Never go for this phone.